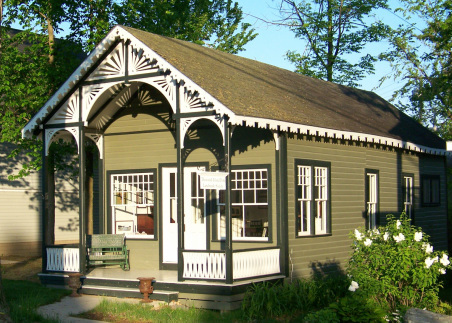 When Thousand Island Park was designated as a Historic District on the National Register of Historic Places in 1982, we took on the responsibility to protect our community’s architectural heritage. once existed in the US and Canada. 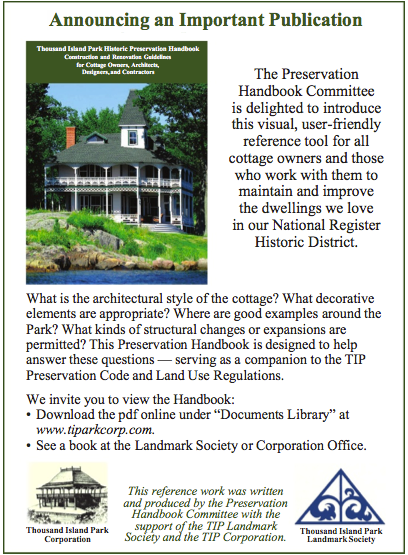 We’re fortunate to be able to spend our summers in a community unique both in its architecture and to the extent that we have been able to preserve it through the support of the community, its many organizations and the use of our preservation code. about substantial energy savings. The rehabilitation and restoration of our historic structures also creates local jobs that add significantly to the north country economy Historic preservation has an additional positive impact on the local economy through tourism. Visitors to TIP can observe and learn about the historical character of the Park and can enjoy lunch, perhaps purchase a souvenir, and take a walking tour or kayak ride. The Reference Library is maintained in the Landmark Society Building at 42831 St. Lawrence Avenue as a resource for all. It is intended to assist those who have an interest in maintaining our remarkable community.